As stated earlier, we would begin this piece from the entrance of the house which is the door. What does Xiaomi have for us here? It’s a smart door lock, and as the name suggests, it offers many ‘intelligent’ features to protect your home smartly and using the latest technologies. 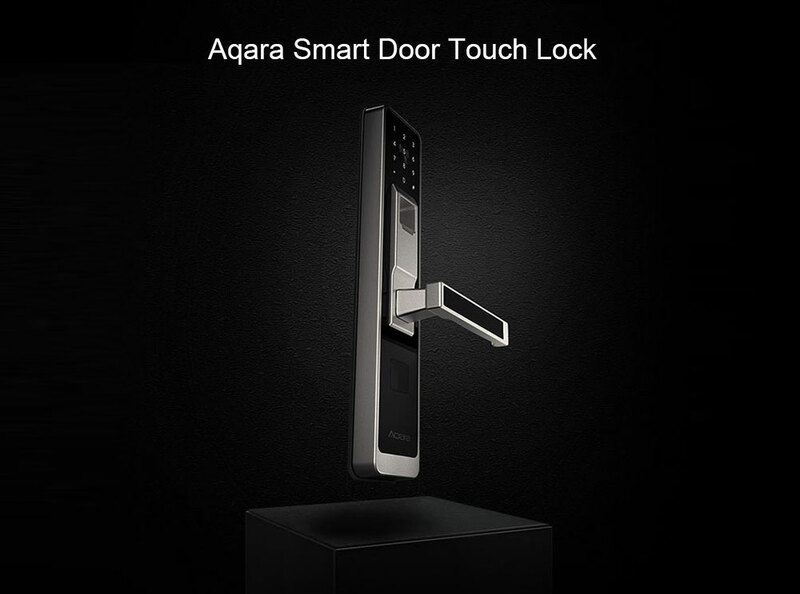 Though there are many selling points for the Aqara Smart Door Lock, the Mi fans should like the most one of them. Like all other Smart Home system products, this smart door lock can be integrated into the ecosystem and manage many other devices and sensors included in the system. Thus users can turn lights on/off, close smart ‘curtains’, and implement other operations due to customizable settings. The most attractive and most important feature of the Aqara Smart Door Lock is the variety of opportunities to open and lock the door. Actually, there are four options for this purpose and the most of them free you from carrying a lot of keys with you. First, you can use your fingerprints to open the door which has been tested and proved to work efficiently. Second, you can open the lock via a password you would set by yourself. Third, it supports NFC. So if using a phone, a smartwatch/smart band with an NFC chip or a proximity card. Moreover, if the keychain is lost, you can block it via the APP. Finally, the door lock can be opened with a regular key. Now we move from the door inside the house. Will like to monitors who step in the house, or who even enter the compound without missing any single details? 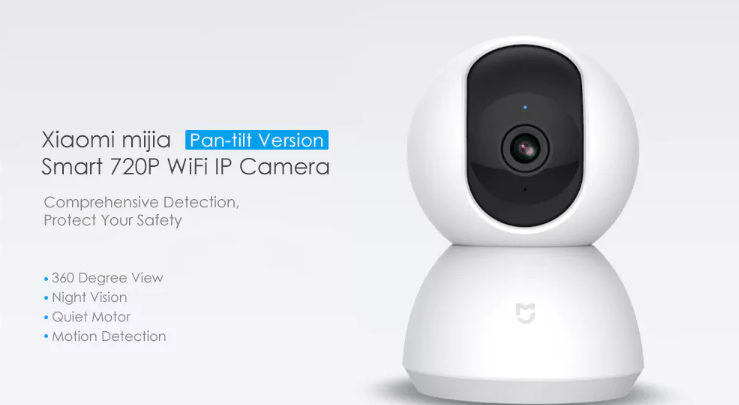 then the Xiaomi Mijia Smart 720P WiFi IP Camera Pan-tilt Version would fit in just fine. This model of Xiaomi camera is called PTZ (Pan-Tilt-Zoom) that is, it is able to rotate in the horizontal (Panning), in the vertical (Tilt) and to approach or move away to focus on an object or area (Zoom), this class of cameras is very versatile because it allows us to control a large area with a single camera, reduce blind spots and configure different planes to be monitored depending on our needs. With the Xiaomi Mijia Smart 720P WiFi IP camera Pan-tilt version, you can sleep soundly! The built-in 10pcs 940nm IR-cut LEDs and quiet motor enable this surveillance camera capture clear night vision images of up to 9 meters distance silently. Besides, the rotatable design of the IP camera makes it capable of monitoring wider range in the horizontal and vertical direction via the APP control. What is more, the concealed TF card slot provides not only a beautiful and integrated appearance but also a convenient storage method for you! Now, let’s assume we just stepped inside the house after passing through our smart door! what kind of air welcomes us into the house? is it that kind of dirty air? or nice fresh air. That’s the need for the Xiaomi Smartmi humidifier, which is a device responsible for purifying the air found in the home. 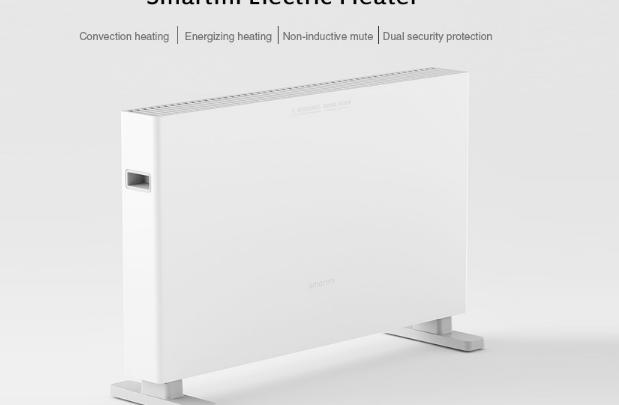 The Xiaomi Smartmi Electric Heater helps to maintain the temperature of the air in the house. 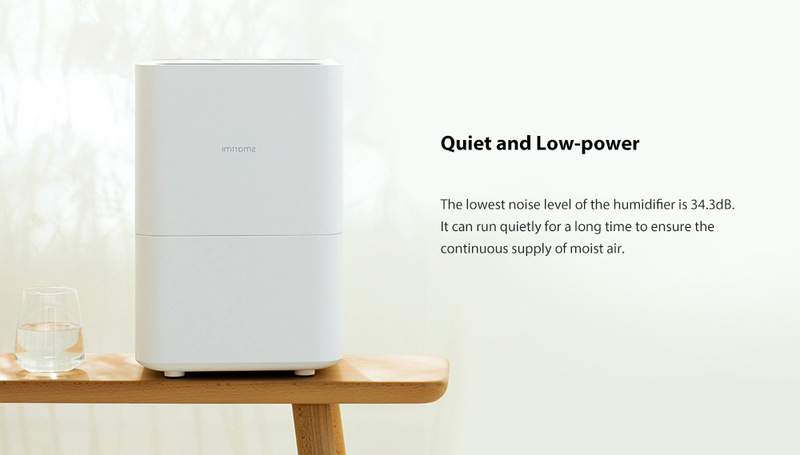 The Xiaomi Smartmi Pure Evaporative Air Humidifier has so many benefits to our health, it does not only refreshes us but also helps us to eradicate dry skin, sore throat, and nasal irritation. This is one reason why you need this humidifier, if you suffer from any of these problems usually caused dry air that is in your home. This product will take care of converting dry air into a very pleasant and healthy humidity. Let’s assume the welcoming air was nice and refreshing, the next thing that would come to mind, his the house clean? which leads us to the Xiaomi robotic cleaner. 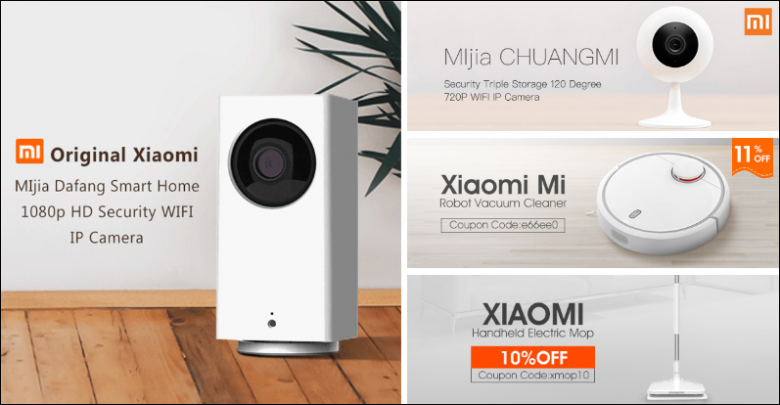 The Xiaomi Roborock Sweep One is similar in many respects to its predecessor but comes with some more functions and a large built. The robot vacuum is still round and equipped with a laser rangefinder, which is moved closer to the centre. The powerful gadget also comes with a number of sensors which aids the robotic vacuum cleaner to circumvent obstacles, avoid steps, choose the most efficient route and quickly find a charging station. Now we are fully inside the house, do you still stress your self to get to the socket? when you can simply on the light from your smartphone? 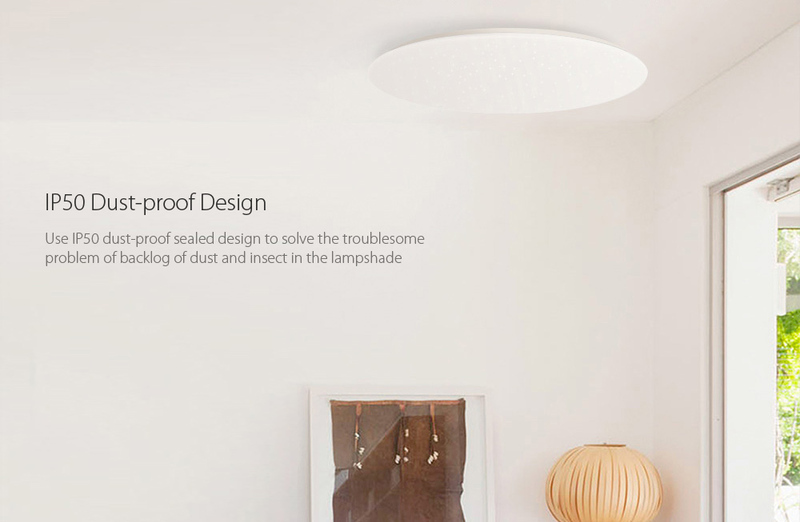 let’s take the Xiaomi Yeelight JIAOYUE 480 LED Ceiling Light With WiFi / Bluetooth / APP Control as a case study. This is circular shaped ceiling light which is designed with the best lighting technology in the world. It is equipped with quality RGB strip light to giving out 16 million light colors which offer a High color rendering index ( CRI ) up to Ra95, thereby providing a museum lighting effect. The dual-chip three-way dimming system allows a flexible adjustment of brightness according to different situations such as reading, watching TV and play games. The temperature can be adjusted between 2700K and 6500K, using the 4000K LED lamp gives you a relaxed and comfortable light just like the morning sun thus you won’t feel dizzy even after a long lighting time. In addition, the Xiaomi Yeelight JIAOYUE 480 LED Ceiling Light has a moonlight mode which gives the look of the moon when turned on providing a warm and cozy lighting to take care of your eyes. Being a smart lamp, the light can be controlled by smartphones through WiFi or Bluetooth via Mi Home APP. 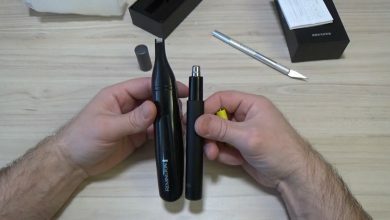 It also comes with a Bluetooth remote control that allows you to remotely switch on and off your light without necessarily being in the same room. What’s more, an innovative quick coupler module lets you push and slide to lock the lamp into the holder with ease. Now we are comfortably settled, with fresh air of desirable temperature, very clean environment, good lighting system, what is next? ok, let’s watch something or let’s play sound quality music? now the xiaomi tv and home theatre come in. 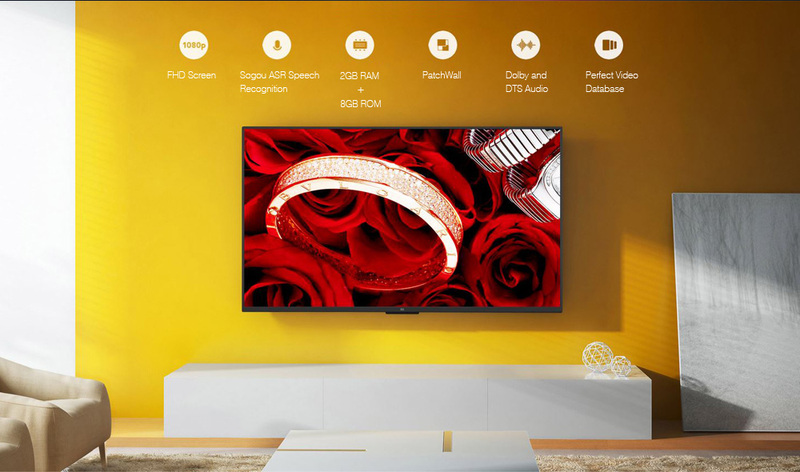 Xiaomi has many TVs, 33 inches, 43 inches and so on. Like we earlier said, all this product has been tested, and shown to be good for all conditions. For example, the Xiaomi Mi TV 4A comes with a quad-core Cortex-A53 Amlogic T962 processor clocked at 750MHz and works at a frequency of 1.5 GHz. It also sports a Mali-450 MP5 GPU which would give you a very clear picture as though you are inside the TV set. It is bundled with 2GB DDR4 dual-channel RAM and 8GB of internal storage which should be enough space to store whatever we would love to store. 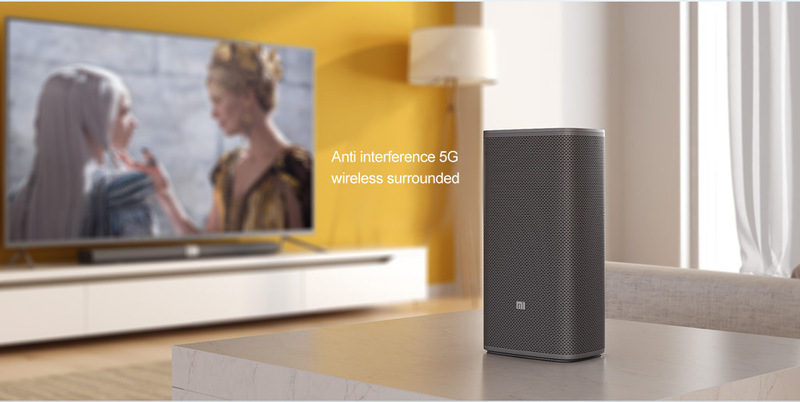 while the home theatre, on the other hand, would give you your music with good quality as the connectivity of the speakers is 5G, so we will enjoy a pure sound, completely stable and without interference. weve gotten our tv and home theatre, now we are ready to rock and roll, dancing to dope sound and watching different things from sound quality pictures. But hwhere are we going to plug this devices into? this lead us to the Xiaomi Power Strip. 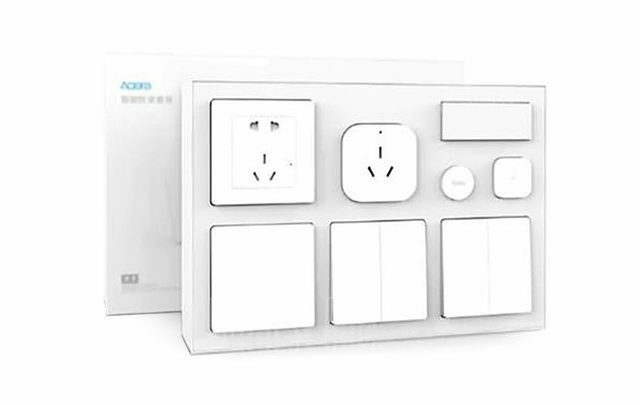 Xiaomi has many power strip ranging from 3 port down to 6 port strips and all this strip are accompanied with usb port. that is, you can see, 6 power socket and 3 usb port which provides more space of connecting things in the home. 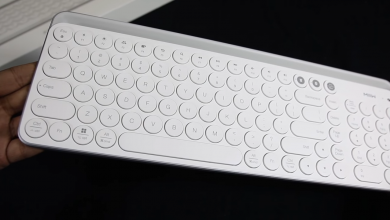 If you want without USB ports, you can also purchase that. Also, you can get the power strip you contry with your smartphone. Sit on the couch, hold you smart ohine and zoom, your TV and home theatre is on. Ok, lets now move to the bedroom, since we have enjoyed ourselves the sitting room. talking about the Xiaomi Aqara Smart Bedroom Kit With Six Different Top Gadget, it is a smart home connectivity kit which enables users to control the home’s smart gadgets such as air conditioner and others inside the room right from their bed. In other words, users may not need to get out of the bed if there is need to switch on a light or adjust the room temperature. The Xiaomi Aqara Smart Bedroom Kit comes in an all-white color, consisting of 6 different gadget which includes 1 x Air Conditioner Mate, 1 x Temperature and Humidity Sensor, 1 x Body Sensor, 1 x Wall Socket, 1 x Wall Switch, 2 x Wireless Switch. with this device, we can boldly say you’ve succeeded in creating a perfect smart home without stress or itch. It won’t be too nice if we finish this article without visiting xiaomi wardrobe. 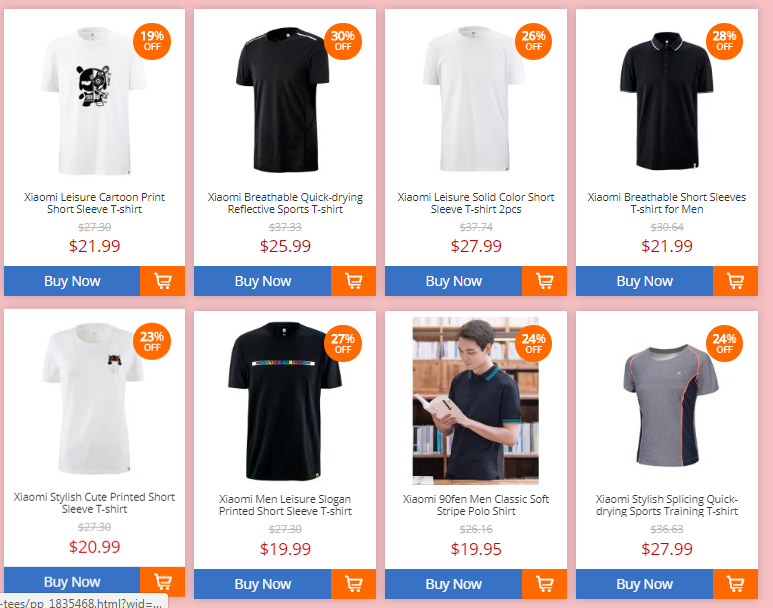 Most people are not aware that xiaomi also produces cloths, such as T-shirt, towel, shoes, and others. But we just want to let you know that you can get loads of them if interested. while Xioami logo is crested on some, others don’t carry the Xaomi logo. Lets quickly visit the toilet with the Xiaomi Smartmi Smart Toilet Seat before we wrap up the article. First, the Smartmi Smart Toilet Seat is capable of supplying a hot water instantly. There is a special ceramic heating element that heats the cold water and supplies a hot water within seconds. Therefore you will get a bidet-like experience without any additional tubes or heating systems. The smart toilet seat can supply a hot water for a long time. Thus the water temperature doesn’t change even if using this feature continually. Moreover, this system is the way more energy-saver than a thermal storage type. This product is called ‘smart’ not accidentally. It is capable of customizing your optimum water temperature, seat temperature, and washing pressure depending on the way you sit. There are sensors inserted into the toilet seat that ‘understand’ you have sit. So they automatically turn down the temperature to avoid from burning your skin. The Smartmi Smart Toilet Seat has a massage function to relieve you in case of pain. You can choose any of cold/hot massage types. The cold water massage will improve your blood circulation, while the hot water massage will have a relaxation effect. There is a special cotton filter that effectively filters out more than 20 microns of impurities such as sand, dirt, rust, and worms. You even do not have to worry about the bacteria on the nozzle. This smart toilet seat will kill them automatically via the UV light when you are away from the toilet seat. At last, you can control the main functions of the Smartmi Smart Toilet Seat remotely via your smartphone. Say, you can control the position of the buttocks, heat the seat, adjust a massage method, water supply pressure, temperature, and so on. But you can do all the aforementioned operations via the control panel placed on the side of the toilet seat. We believe you enjoyed the countdown all the way from your doorstep down to the toilet, If you have any contribution or suggestion, please use the comment sections below. Thanks.